155/365 – “I’m Batman” nr.5, a photo by Luca Rossini on Flickr. 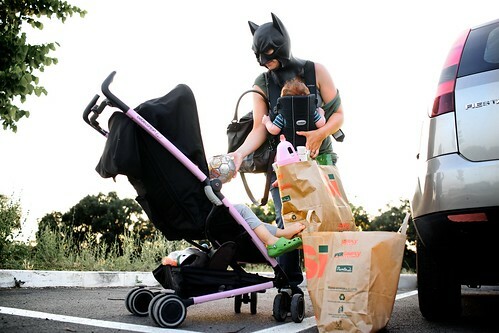 Fifth day of “I’m Batman”, I’m celebrating the heroic mothers which everyday develop new superpowers to perform their daily duties while coping with relentless and capricious children or lulling crying and hungry infants (and sometimes having to do both at the same time!). Two hands are rarely enough, car’s truck never wants to open, trolley is all but easy to fold. 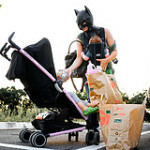 Yet every Bat-Mom has plenty of secret Bat-Tools (candies, dolls, balls, car’s keys, etc.) which help them get the work done, no matter what.